Some of the most beautiful women hail from Texas. We all know that and we saw it Saturday night when Miss North Texas, Ivana Hall, was crowned Miss Texas 2013 at the 78th Miss Texas Scholarship Pageant by DaNae Couch, Miss Texas 2012. Ron Corning and Miss Texas 1982, Gloria Gilbert Barron co-hosted the event at the Allen Event Center in Allen. The 48 Miss Texas contestants and the 45 Miss Texas' Outstanding Teen contestants competed in the following categories: private interview, lifestyle and fitness, talent, evening gown and onstage question. Ms. Ivana Hall, Miss Texas 2013, will compete for Miss America held in Atlantic City in September 15 which will be broadcast on ABC. Miss Texas' Outstanding Teen 2013, Sheridan Donevant, will compete for the title of Miss America's Outstanding Teen August 13-17, 2013 in Orlando, Florida. Dillard's and Jessica Simpson gave each contestant a pair of shoes and Skechers is donating two pair of shoes, including the fitness shoes to each of the Teens. Grubbs Infiniti provides Miss Texas with an Infiniti to drive throughout her reign. Other sponsors include: i93 Hit Radio, Rochon Premium Brand's Seven Water, the official water of Miss Texas; Market Street, Bobbi Brown Cosmetics, Mi Cocina, Uncle Julio's, On the Border, City of Allen, Residences of North Dallas, Allen Flower Shop, Cotton Patch, Silver Thai, Mimi's Café, Texas Land and Cattle, Hedary's Mediterranean Restaurant, Purple Cow and the Marriott Courtyard. We love that. Produced by the Miss Texas Organization, the Miss Texas competition exists for the purpose of providing personal and professional opportunities for young Texas women and promoting their voice in culture, politics and community. The competition was founded in 1936 by a group of civic-minded citizens concerned about higher education. The first Miss Texas Scholarship Pageant has evolved into what is recognized today as one of the best organized and well managed of all state pageants. The Miss America Organization is the largest donor of scholarship assistance for young women, awarding over $45 million annually. Miss Texas 2013 will receive a $10,000 cash scholarship and the use of an Infiniti from Grubbs Infiniti and an apartment from Residences of North Dallas. 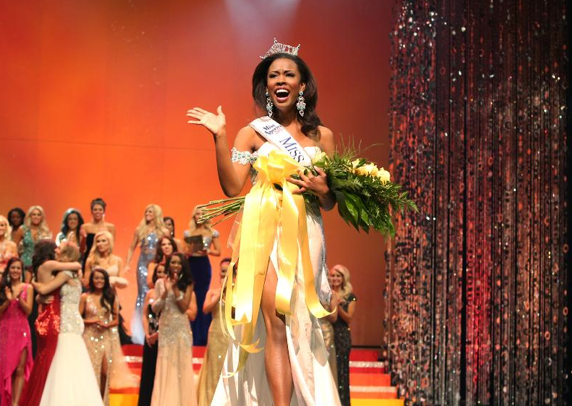 In addition to competing for scholarships, each contestant actively participates in raising funds for the Children's Miracle Network, which is the national platform of Miss America. For additional information visit www.misstexas.org.